The ESD feature of the elneos connect workstation is totally state of the art. In accordance with ANSI/ESD S20.20-2014 & IEC 61340 ESD standards. The volume conductive ESD design has been achieved by engraving conductive carbon polymers in the wood itself, it gives us the edge over all competitive products. ESD mechanism of elneos connect workbench will never fail any calibration tests and readings remain same over 10 years. 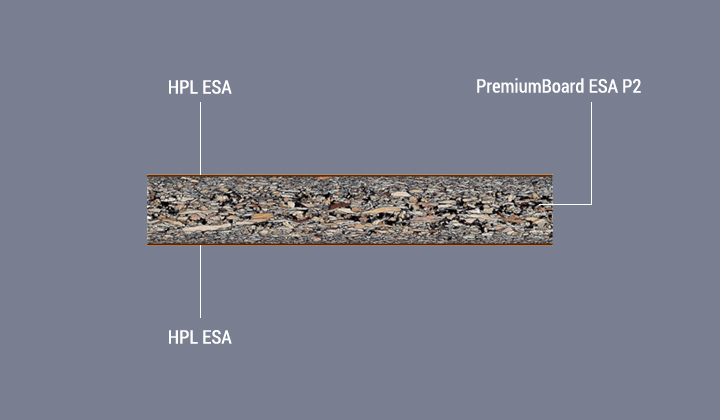 The tabletop/worktop of the worktable is raw chipboard allowing electro-static discharge with a thin chipboard as per DIN EN 61340-2-3 and DIN EN 61340-5-1 (volume conductive). Lightweight, solid and changeable worktop supported with functional aluminum frame 40x40mm. The worktop ergo-line: The front left and right-handed corners of the working top are rounded by 20mm radius. Due to ergonomic roundness crashes are avoided and the risk of injuries are completely precluded. The Technical edge alu-line: The new exposed and load bearing technical edge alu-line is equipped with two T-grooves and channeling functions, enabling us to mount fixtures like bench voice & also it prevents the circular components falling down from the table with the help of slot on the top side. 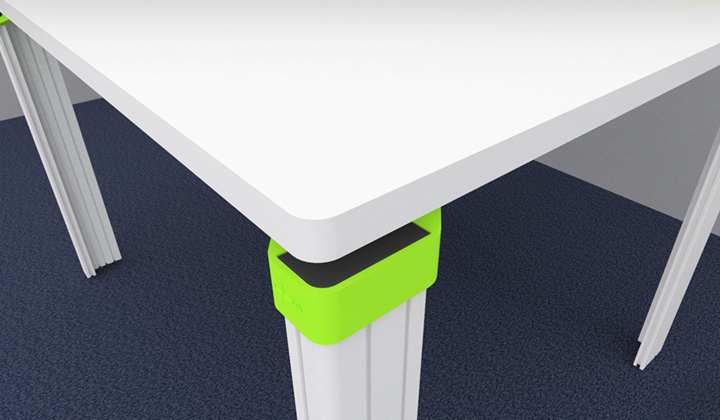 The connectors are centerpiece of the furniture system and ensures uninterrupted media guidance between worktable legs and table frame. Special features are infinitely variable depth adjustment of table legs, changeable table foot combination etc. They are available in 4 colors, default color- elneos green. 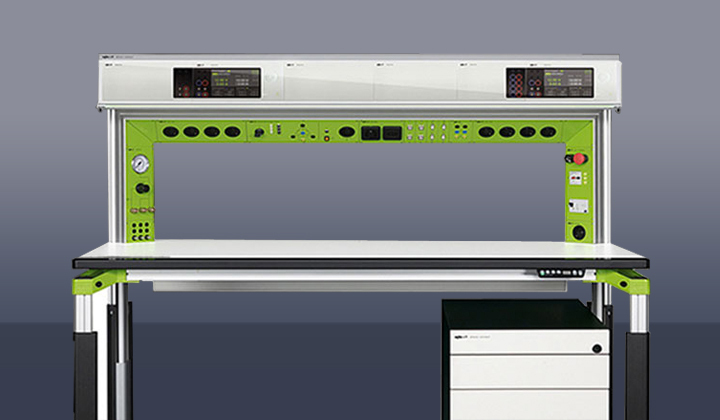 The innovative profile system of elneos connect workstation is customized, modular, economical, resource-conserving and striking as regards design and effect. 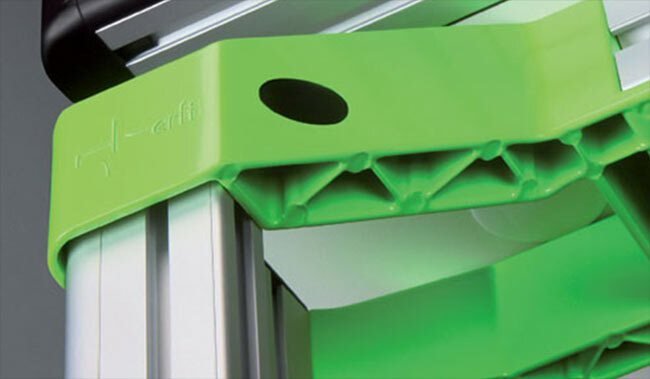 The L-Profile: The entire profile system is an aluminum profile designed as L-shape. The long solid piece is equipped with two cable chambers and through both of them power, data lines and compressed air lines can be passed. The profile is provided with the T-grooves which allows integration of filing boards, cockpit, experimental frames, swivel arms, perforated sheets etc. The Expand Profile 1: It complements with the L-profile and is clipped to inner surface. 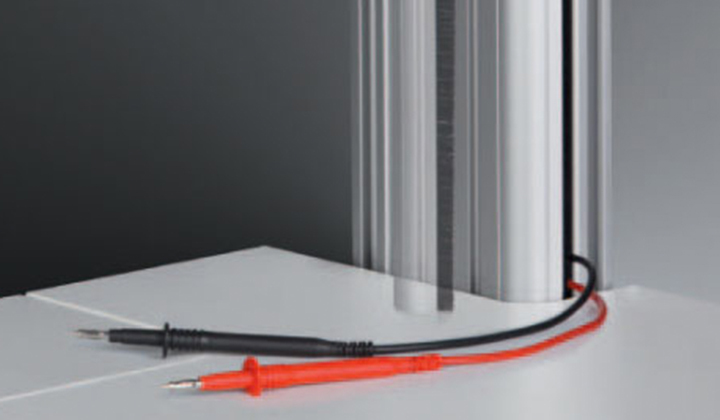 It is an aluminum profile to house further cables and small electric items such as data sockets or compressed air couplings. 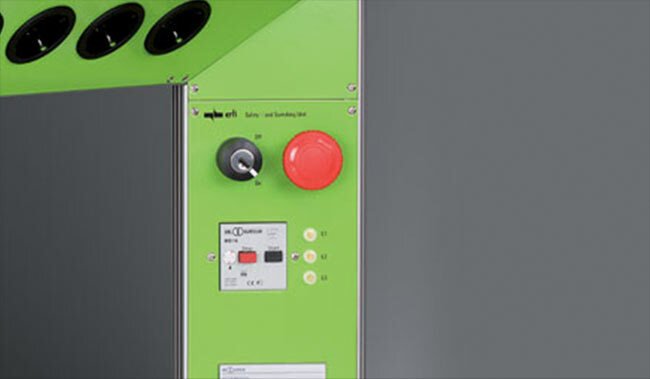 The Expand Profile 2: This profile serves for integration of electronic units of a bigger installation height such as safety and switching units, sockets or generators. 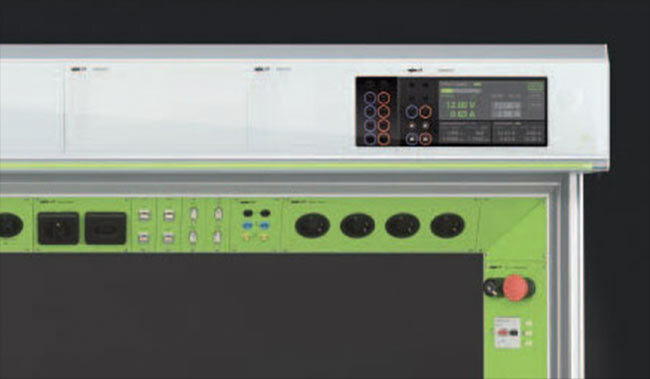 The installation angle of 45° keeps the built-in devices in an ergonomic position for the user and mountable with power sockets, computer peripherals, safety and switch units and interface areas and three-phase supplies etc. The Expand profile 2 is equipped with a groove technique on the inner side which can accept two cable chambers on the inner surface for shielding. 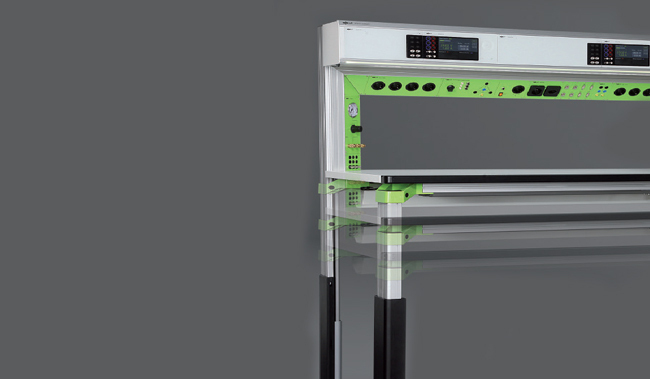 The device cockpit/ attachment is basically a 19’’ rack system in which the integration of any standard 19’’ instrument/device is possible. Also, it is characterized by comprehensive new functions – aluminum profiles, impact barrier, T-grooves, covered cable space, swiveling and adaptive lighting which is invisible from the outside energy saving LED lightning and RGB-LED technology as well as integrated indication lamp. Due to the intelligent combination of vertical and horizontal expand profile 2, a continuous media channel is generated – the Erfi Bridge! It allows for the first time the continuous installation of devices in the vertical and horizontal line. The new telescopic profile with functional grooves ensures stability.Due to its continuous design it allows deep components, continuous wiring passage without disturbing other circuits and seals off inwardly electromagnetic radiation. The workbench lighting is contactless Sensor based RGB Lighting system. The light can be swiveled in its holder, it is dimmable and intensity of light can be adjustable from 0 – 3000 lux, Life cycle is up to 50,000 hrs. 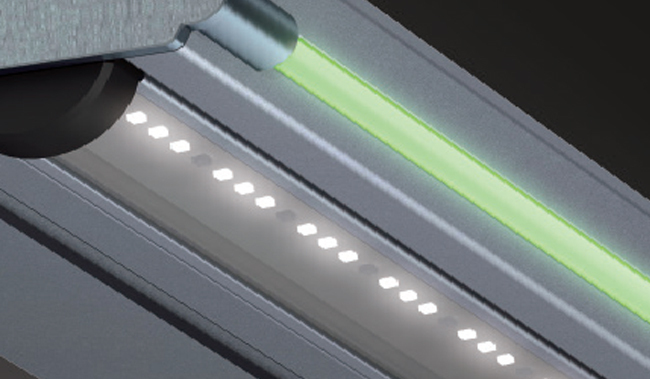 At min 70 % less energy consumption to tube-light with steady illumination of the working surface without forming shades. This LED lightning system can be switched and dimmed by means of contact free sensor. With the help of hydraulic cylinders the height adjustment is requested. In this case four hydraulic cylinders integrated in the telescopic profile will lift the complete workstation. Weight carrying capacity is also considered with high stability which can lift up to 600kg from stroke lengths of 280mm, 380mm and 480mm height. 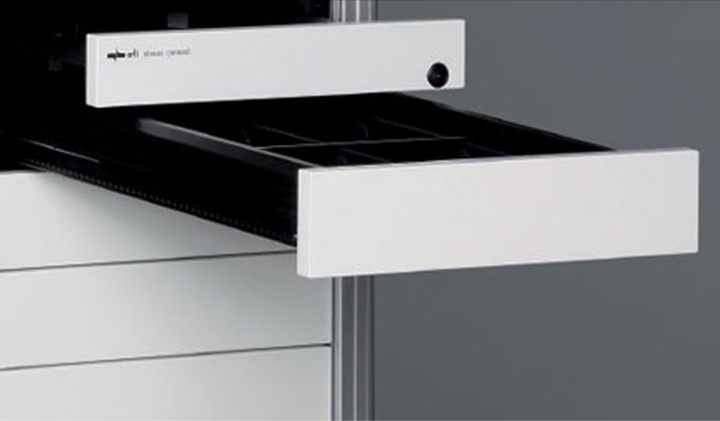 Drawer: ESD and non-ESD design available in 3 compartments with central locking system, also available in push to open style. Trays: PC trays adjustable in width, slidable keyboard and mouse trays. Swivel Arms: 180° rotatable with 13’’ to 27’’ sized flat screen monitor holding capacity along with load bearing capacity of 20lbs. Other accessories like components storage bins, drawing boards, pinup boards, magnifying glass, perforated sheets, experimental frames etc. are also available on request.